The first priority period for the 2019 Fall Physical Therapist Assistant program opens March 15, 2019, and closes March 30, 2019. 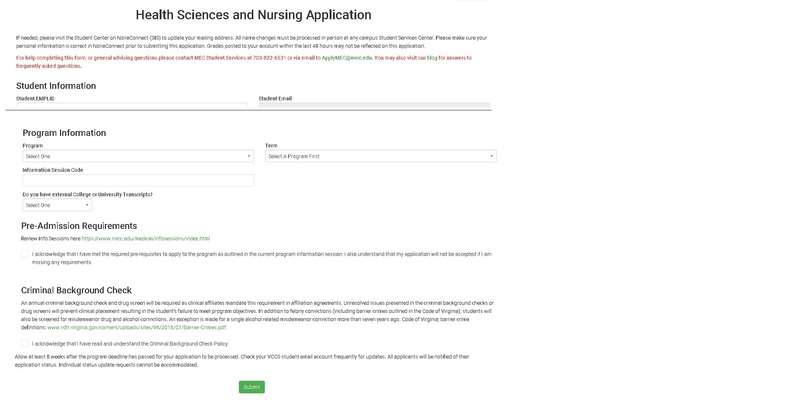 Only submissions sent via the Online Health Science and Nursing Application will be processed. Physical Applications mailed via certified mail will not be processed. In addition, you must complete a minimum of FOUR clinical observation hours with a PT or PTA. Clinical Observation hours must be mailed via certified mail in advance of the deadline for the period you are applying to. DO NOT OPEN AND SCAN OBSERVATION HOUR FORMS. They must be mailed in via certified mail. Only Hours received by the priority period deadline will be counted. The program requires that you satisfy two different Testing requirements. Take and pass the VPT Math Placement test at the MT 154 level or higher OR complete developmental math to qualify you for MT 154 or higher OR transfer MT 154 or higher to the college. Take and pass the ATI TEAS exam with a minimum score of 50% in the English, Reading and Human Anatomy and Physiology subsection of the Science portion. It is important that a student submit their full results packet with their PTA application. Directions on how to download results can be found HERE. Failure to do so will result in a delay in the processing of an application. Lastly, only students that have attended one of the mandatory in-person workshops within the last year will be considered for admission. The only attachment that should be included with your PTA Application is a PDF version of your ATI TEAS Results. Please do not attach additional items unless specifically instructed to do so.